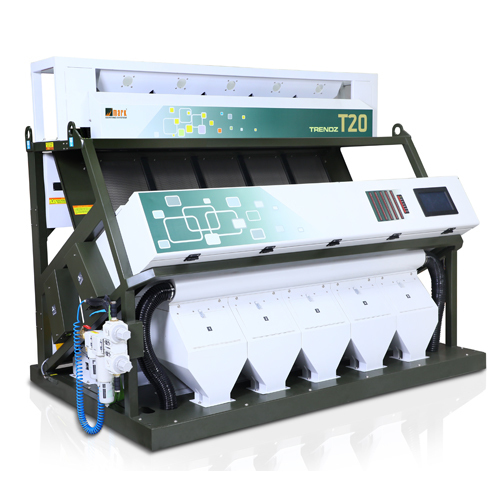 Our expertise in this domain has enabled us to offer supreme grade Color Sorting Machine. Our team of qualified professionals manufacture these using best quality components and materials, sourced from the top vendors of the industry. These machines are very durable and delivers high performance, therefore widely demanded by our clients across the market. The Color Sorting Machine is quality tested before deliver to ensure longer lasting service. 2048 pixel CCD Scanner camera technology Double side view.